What Sets Us Apart From Most Montessori Schools in Hoffman Estates? In 1999 we were honored by the American Montessori Society in becoming the 42nd Montessori School in the United States and one of the few accredited schools in Hoffman Estates. We have been serving Hoffman Estates IL and the surrounding communities for 20 years now and we are conveniently located just north of I-90 between Barrington Rd and Ela Rd. Please call us at (847)705-1234 to arrange a tour of our day school so you can see for yourself why we’re one of the most referred private Montessori schools/preschools in Hoffman Estates. Or complete our online inquiry form and a member of our staff will contact you. To learn more about Our School Programs Hoffman Estates please click the corresponding link to an area of interest. 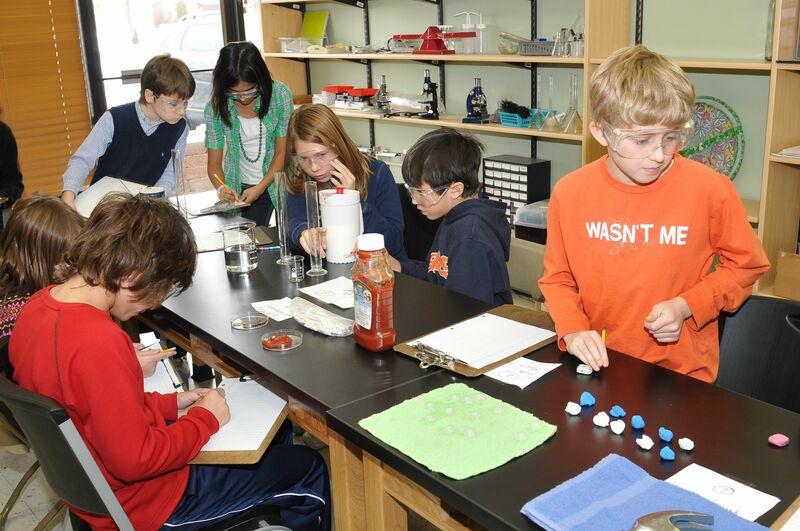 The Montessori School of North Hoffman offers a Montessori Elementary Program for the first through sixth grades. The Elementary Program has one lower elementary classroom (1st through 3rd grade) and two combined lower and upper elementary classrooms (1st through 6th grade). Each class is taught by a certified Montessori Elementary teacher and one or more highly qualified assistant teachers. At age six, the child moves to what Maria Montessori called the Second Plane of Development which encompasses children 6 to 12 years-old. There are enormous changes in the needs of the child from those of the First Plane (the years from birth to six years). The child is no longer centered around herself and her family but now has a great need to explore society and the world. If the First Plane is the age of “what,” this Second Plane is the age of “why, where, who, when, and how”. 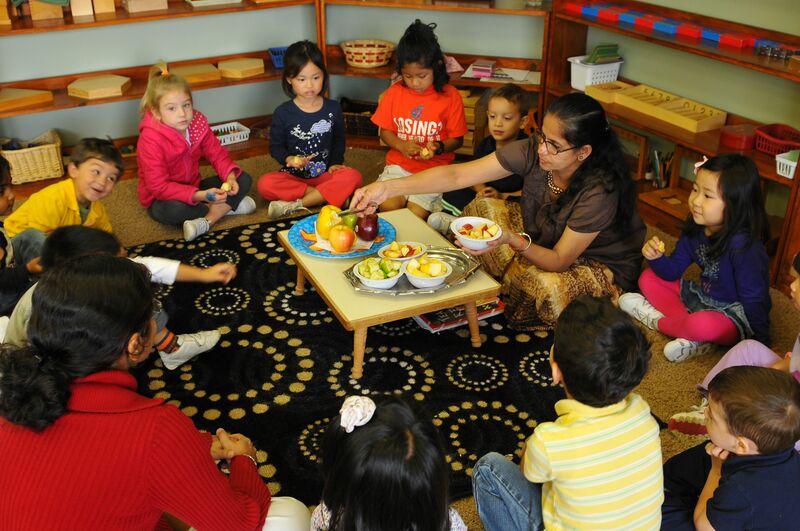 In the Montessori elementary classroom, we give the child the history of the universe, the world, the coming of plants and animals, and the emergence of humans on Earth and their contribution to language, culture, arts, mathematics and science. This is also the age when the child develops a moral sense, learning what is right and wrong. He strives to find how he can play an important and meaningful role in life. Elementary students at the Montessori School of North Hoffman learn about moral values through the study of virtues and various aspects of community building.